He examines this new found freedom with a critical eye. How do you move beyond what came before, even if you have no further obligations and you’re beholden to only yourself and your desires? Ott creates tales that unfold and fold unto themselves, taking readers on winding journeys — much like those in real life that are never a straight line from point A to point B. His images are fresh and nuanced, and will force readers to rethink their own perceptions of retirement, work, and death. to join the vast departed. Some poems seem to be about the mundane, like why he doesn’t set the clock in his car or why he doesn’t carry an umbrella, but these poems, too, become something more — a time travel journey with kids or the hidden dangers of the umbrella and how it can die just from being opened. 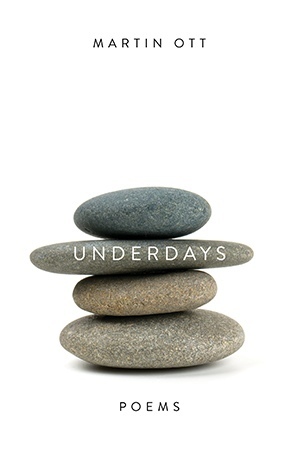 Underdays: Poems by Martin Ott, winner of the , turns over the rocks in our lives to find the darkness, the humor, and the introspective nature we hide as we trudge through daily activities. Born in Alaska and raised in Michigan, Martin Ott served as an interrogator in U.S. Army military intelligence. 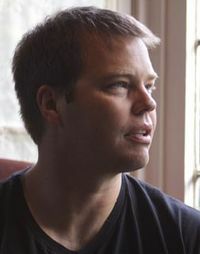 He moved to Los Angeles to attend the Masters of Professional Writing Program at USC, and often writes about his adopted city, including in the novel The Interrogator’s Notebook (currently being pitched by Paradigm as a TV pilot) and poetry books Captive, De Novo Prize Winner, C&R Press and Underdays, Sandeen Prize Winner, University of Notre Dame Press (Fall 2015). Social and political themes are prevalent in all of his books, particularly Poets’ Guide to America and Yankee Broadcast Network, coauthored with John F. Buckley, Brooklyn Arts Press and his short story collection, Interrogations, Fomite Press (Spring 2016). I normally try to read every book, even ones that I find difficult to read, but it is time for me to set aside these books for good. I either didn’t like the writing style or the subject matter. But look for an opportunity to grab ahold of these and give them a try for yourself. I will provide a synopsis from either the publisher, author, or Amazon.com site for your review and a couple sentences why I didn’t finish these books despite my normal penchant for finishing everything I read. While initially the prologue drew me in with the writer’s inspiration for writing the book, I soon discovered a more textbook-like writing style in the subsequent chapters, which were too dry for me to continue. Although I am sure this book contains some great historical information about the immigrant experience of miners, I was not as interested in the subject matter as I had hoped. Little Stories takes a critical look at the inevitable moments of betrayal and loneliness in our awkward quest to love and be loved, but the reader will discover the value – and even joy – to be had by looking backward and facing the past. This brilliant collection of tales should not be missed. I found the dialogue in the first story to be pedestrian, and I didn’t feel a connection to the characters. With a compilation of short stories, it is difficult to connect with characters in those stories, but some collections do better than others. Unfortunately, this was not one of those collections for me. In The Reluctant Widow, Eleanor Rochdale, a young woman of good birth but straitened circumstances, sets out to accept a position as a governess and ends up plunged into a tangle of foreign intrigue instead. Georgette Heyer has received great reviews from other bloggers in the blogosphere, but for some reason The Reluctant Widow failed to hold my attention on more than on occasion. Darcy and Lizzy venture away from Pemberley to journey through England, finding friends, relatives, fun, love, and an even deeper and more sacred bond along the way. Having embarked on the greatest adventure of all, marriage and the start of a new life together, now the Darcys take the reader on a journey through a time of prosperity, enjoyment, and security. They experience all the adventures of travel, with friends and relatives providing both companionship and complications, and with fun as their focus. This is the second book in Sharon Lathan’s Pride & Prejudice spin-off based loosely upon the 2005 movie and Austen’s work. I picked up my copy at last year’s Book Expo America, but I’ve realized that the endearments and lack of plot action and character development leave me cold. I must warn readers that Lathan will enter the bedroom with Darcy and Elizabeth, so if you prefer something more sedate, this is not for you. FTC Disclosure: Clicking on title links or images will bring you to my Amazon Affiliate page; No purchase necessary. City Above the Sea and Other Poems by Stephen Alan Saft is the poet’s third book of poems, which I received through Bostick Communications. Saft’s preface will provide readers with insight into his background and possible influences. He discusses the different types of poems found in the volume. Some of the poems were previously performed with live music. The title poem, “City Above the Sea,” paints a vivid picture of this future-like city with glass towers and green vines hanging. The A-A-B-B rhyme scheme of the poem is not as distracting as other rhyming poems are because the images are so vivid and transport the reader into this technologically efficient world. The poem touts the benefits of technology in creating electric cars and other less polluting tools and devices, but in stanza 10 the mood changes. In a way, the poem preaches to the reader about the need of society to save humanity. Saft’s romantic nature comes to light in “The Cucumber Plant to the Sun,” as he weaves images of a growing plant reaching for the sun begging to be that same sun’s only love. 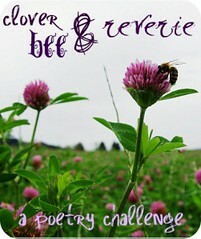 This poem will make readers smile as they see the plant growing in the nurturing light and unfurling its tendrils. Saft’s use of language in “Tomatoes” reminds me of so many of my favorite, yet poignant, poems in Lawrence Ferlinghetti’s book A Coney Island of the Mind. There is a great deal of alliteration in this poem, but there is much more going on in it. It has a primal nature that readers must discover. Whether the verse is free or rhyming, Saft skillfully paints a vivid picture or narrative through which he cracks open the underbelly of reality and the beauty inherent in that reality. Readers will enjoy his fresh images and innovative language. 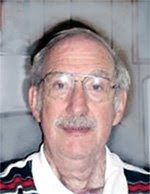 Stephen Alan Saft, also known as S.A. Saft, is a writer of essays, novels, plays and poetry. As a poet, Saft has written over a hundred poems, many of which he has presented in public readings. Saft’s poetry is a combination of blank verse, free verse and rhyming pieces, some of which were written to be performed with music. Saft has given poetry readings in Virginia, Maine, Vermont, California, Texas, New Jersey, New York, and Washington DC, in some cases to the accompaniment of a jazz band.